How to export all data from your account. This section outlines how to export your account data to both machine readable and human readable formats. 1. 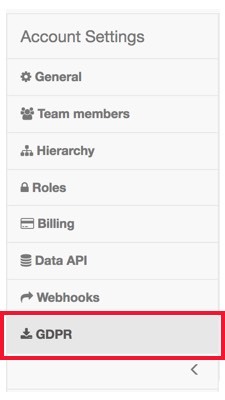 Navigate to your Account Settings page (top right of screen). 2. From the left side menu select "GDPR". 3. Click "Download my data". 4. 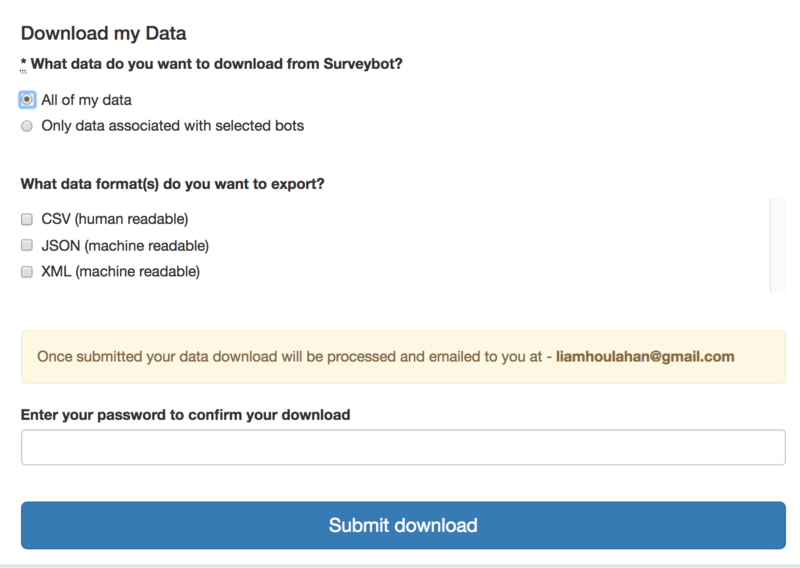 Choose either "All of my data" or "data associated with selected bots". 5. Choose the formats you want to export. CSV is for human readable, the other formats (xml, json) are for using the data in other systems. 6. Enter your password and proceed. Now you have downloaded all of your data. If you have any questions relating to this or other GDPR related questions please reach out to us at support@surveybot.io.